The Wayne State University School of Medicine Integrative Biosciences Center, or IBio, officially opened its doors in 2015. The facility — which cost $93 million and was made possible through university planning, state and philanthropic support — provides services to Detroit's underserved communities while tackling the most complex research topics in health care. From its conception, the IBio has stood as a physical testament to the School of Medicine's dedication to the community and its fight to address health disparities. While the building houses world-renowned scientists conducting translational and clinical research that will have resounding impact around the globe, it is also used as an area for faculty and students to grow as scholars and physicians. With the intention of supporting faculty, students and the ongoing research in the IBio, alumnus Paul Orr, M.D. '57, and his wife Trudy Orr, decided to give back to the School of Medicine. "It's a great building, and the research potential there is mindboggling," Dr. Orr said. "I decided to give to the IBio in particular because the structure will stand throughout time and potentially have an impact on the thousands of people who will use the space. Not to mention that the director of the IBio, Dr. Phil Levy, is one of the most impressive individuals I've ever met." Phillip Levy, M.D., M.P.H., the Edward S. Thomas Endowed Professor of Emergency Medicine, is the assistant vice president of Translational Science and Clinical Research Innovation for Wayne State University. He is overseeing a transformational shift that will develop centralized, horizontally integrated resources to support clinical research university-wide. Housed in IBio, the Center for Translational Science and Clinical Research Innovation will become the hub of campus-wide clinical research aimed at improving health and health care for Detroit and southeast Michigan. Envisioned as a partnership with the community, the center will serve as a focal point for WSU faculty to work with funding agencies and industry partners on the design and conduct of clinical research involving innovative methods, drugs and devices. Dr. Orr shares in the School of Medicine leadership's vision for the IBio and believes that the space will have a transformative impact on human health and wellness. He feels strongly that the capacity of the IBio and its location will allow researchers working within it to make great strides in medical advancement and patient care. "The IBio houses so many tissue samples and other stored data ready to be mined. The research they do in that building has global importance. It's amazing," he said. With thematic foci in the areas of environmental sciences, biology and systems engineering, heart disease, metabolic diseases, and brain and bio behavioral health, the IBio is a pioneering research powerhouse. Dr. Orr hopes that his contribution during the Pivotal Moments campaign helps drive those initiatives forward. "I hope that supporting the work happening in this space has had, and will continue to have, a considerable impact. Just the fact that the facilities are there and that it is utilized by people as impressive as Dr. Phil Levy speaks to the ways in which the space is making a difference," he said. 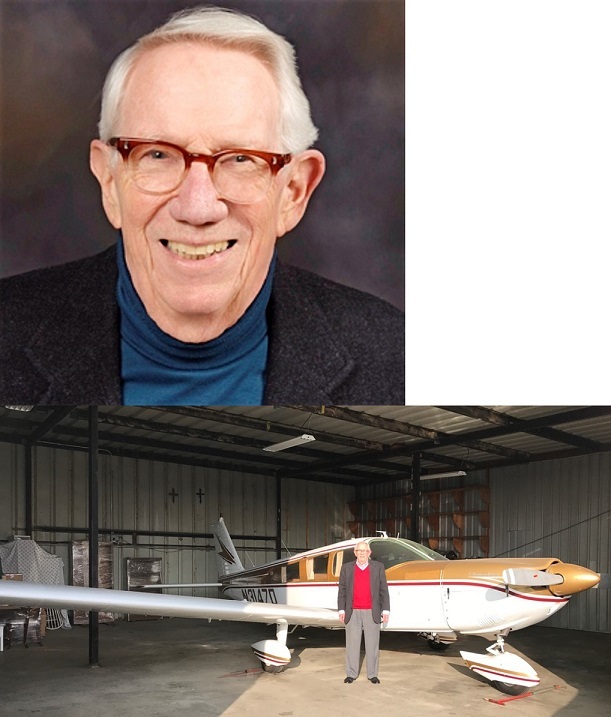 A licensed commercial pilot and flight instructor, avid musician and Family Medicine physician who has practiced in the same location for more than 55 years, Dr. Orr has no plans to retire, either from his vocation as a physician or his hobbies. Like the building he has supported, Dr. Orr's practice in California stands as a testament to what it means to become a staple in the community, providing necessary services to a specific patient population. "As a physician who's been practicing in Claremont, California, for 58 years, I see several generations of families. I love it," he said. "I grew up in Battle Creek, Michigan. I went to Michigan State for undergrad, Wayne State for medical school and then interned in Toledo. I went to California when I was in the army — once on our way to where we were stationed in Taiwan, and once on the way back into the States — and my wife and I decided to move there and haven't left." A man of many talents, Dr. Orr has led a fascinating life. He started college as a music major playing the clarinet. "I learned that music is a wonderful avocation, but for me it would be a terrible way to make a living," he said. He then decided to change gears and applied to four medical schools and was accepted by three. "My father, who was also a physician, advised me to go to a place where only one medical school existed in a big-city hospital system. That place was Wayne," Dr. Orr said. "I'm a hands-on learner, and as a medical student I was able to complete 300 deliveries through the school and my externship at the Salvation Army Hospital for Unmarried Mothers. When I went into the army, I knew Wayne had given me a unique education. Most of my peers had only seen 30-40 deliveries in medical school." In the years since Dr. Orr graduated from Wayne State University, the medical campus has undergone changes and expansion, including the development of new and innovative spaces for learning and research. While the medical campus footprint has changed, the School of Medicine has stayed the course through a tried-and-true mission of academic excellence, helping students like Dr. Orr achieve success. Because Dr. Orr credits the School of Medicine with positioning him for career success, he and his wife continue to contribute in meaningful ways to the school. They have philanthropically supported the School of Medicine for many years, and now he hopes that his gift to the IBio — a building designed to impact the health disparities of the city — will have an impact on Wayne State-trained physicians far into the future. And although Dr. Orr's primary inspiration in giving back to the school is to benefit students, his gift has found a home in a facility that creates meaningful medical change around the globe. "I think giving back in this way is a necessary thing," Dr. Orr said. "It is a commitment that people who have benefited should pay back, contribute." To learn more about the IBio, and how to support the School of Medicine, contact Lori Robitaille at 313-993-4070 or lrobitai@med.wayne.edu.